Our hope is that you will always feel welcomed as you walk through the doors of St. John. We'd love for you to browse our website for more information about our church. From your first visit here to your decision to become a member, we are here to support you in your faith and answer any questions you might have. 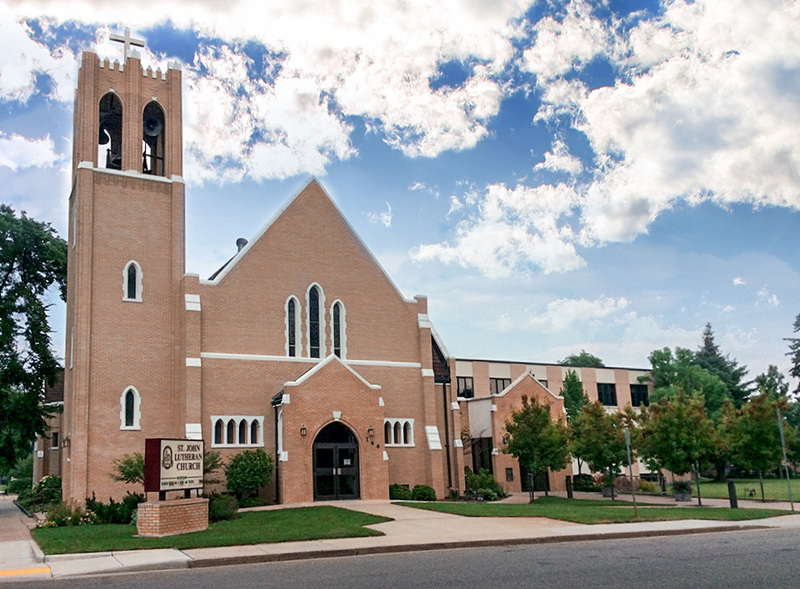 St. John Evangelical Lutheran Church has been growing in the heart of Dickinson since 1903. Young and old, lifelong Lutherans, people who grew up in other faith traditions, and people who are new to the faith are a vital part of this community of faith. St. John is a place where you are invited to come to be nurtured by community and grow deeper in faith in Jesus Christ. All are welcome to worship and wonder and be fed by the story of God’s love for the world. St. John is a member congregation of the Evangelical Lutheran Church in America (ELCA) The Evangelical Lutheran Church in America (ELCA) is one of the largest Christian denominations in the United States, with about 4 million members in nearly 10,000 congregations across the United States, Puerto Rico and the U.S. Virgin Islands. Learn more about the ELCA. Worship is the most important thing we do! Worship is supported by gifted organists and choir directors - a Senior Choir and a Handbell Choir proclaim the good news in song. Assisted-listening devices are available at all services - please ask an usher for assistance. Sundays at 8:00 a.m. and 10:30 a.m. (The second Sunday service is held at 9:30 a.m. from Memorial Day through Labor Day. Throughout the school year, an Adult Education class - Learning in Service to Christ - is held between the worship services (9:15 - 10:15 am) in the main floor Fellowship room. Everyone is welcome to come and enjoy coffee and refreshments as we learn and discuss a variety of topics! This service is preceeded by a family meal at 5:15 - 6:00 p.m. to accomodate the busy life of young families. At 6:00 pm children depart for Church School while parents are enjoy some fellowshiptime - without children! Everyone comes together for a worship at 6:30 pm that encompasses lessons learned during Church School. Worship is active and grabs the attention of children, as they sing familiar camp songs. Confirmation activities follow the service from 7:00 - 8:00 pm. Holy Communion is offered at each worship service. We believe the bread and the wine give us a real taste of God’s grace, recalling the death of Christ that grants forgiveness of sins. All who believe in the redeeming love of Jesus Christ are welcome at the Lord’s Table for Holy Communion. The decision about when a child should commune is made by a parent or guardian. We encourage families to visit with a pastor to learn about Holy Communion before communing for the first time. Open and Welcoming Hospitality is one of the congregation’s core values. All are welcome at worship. There are worship bags with fun stuff to do available for kids. There is a nursery with an audio feed of worship, and is usually staffed at the 10:30 a.m. worship service during the school year.